WEATHER UPDATE: THIS EVENT WILL TAKE PLACE AS PLANNED! 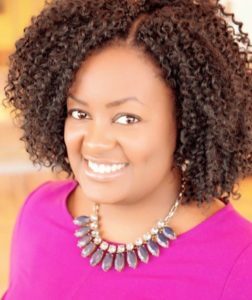 Please join the Washington Network Group (WNG) when we meet with personal branding expert Amanda Miller Littlejohn for an interactive session on "Package Your Genius: How to Build Your Most Powerful Personal Brand." You have life-changing gifts and talents for a reason, but not enough people know your name. It's time to make yourself and your work VISIBLE. Despite being incredibly hard workers who execute flawlessly on the job, many high achievers still struggle with self promotion. If you've been working hard for your employer, or delivering exceptional results for clients, you may think that your work should "speak for itself," and perhaps it should. But in the digital age, a great work product isn't enough anymore. In order to get the opportunities your skills have earned, you must do your part to share your story, your message and your skills with the world. You must build your most powerful personal brand. But how do you get going? Passed over for promotions? Overlooked by potential clients? Not on the radar of those who matter? If you're tired of feeling INVISIBLE in your industry, herein lies the process to position yourself as the expert you are. It's time for you to package your genius so you can create the opportunity you deserve! This session will be introduced by Silvia Dumitrescu, WNG Board member and Chair of the WNG Women's Leadership Forum. Amanda Miller Littlejohn is a top nationally recognized expert on personal branding. The author of personal branding playbook Package Your Genius, she is an idea oven, brand problem solver, and creative powerhouse working at the intersection of public relations, journalism, marketing and social media. Early in her PR career, Amanda quickly became known for using her journalistic training to dig deep to find the story behind the story – crafting an authentic brand message in the process. She now leverages that foundation of journalism and public relations in her work as a coach and mentor at Package Your Genius Academy – a personal branding, leadership training and mentorship institute where high achievers learn to make themselves and their work visible in the digital age. She's worked with coaches, consultants and entrepreneurs across the globe from San Francisco to Saudi Arabia. Her clients span industries - from government appointees to nonprofit leaders to academic researchers. Amanda has coached senior leaders from top companies including Intel, JP Morgan, Scholastic, Coty/Cover Girl, Colgate-Palmolive, EY, WalMart, Guardian Life, Google, TD Bank, and Johnson & Johnson. An industry innovator, Amanda distilled over a decade of public relations know-how into a personal branding toolkit aptly named The Branding Box. Since its inception, the Branding Box has helped hundreds of high achievers around the world clarify their brand message and create a strategy for authentic self promotion. A highly sought after speaker, trainer and writer, Amanda regularly speaks to groups of business owners, students and women on personal branding, public relations and social media. She regularly shares her expertise with media outlets like the Washington Post, Forbes, Huffington Post and Sirius XM. Amanda has won numerous industry awards including the Practitioner Award by the National Black Public Relations Society. She was also named one of PRWeek’s 50 PR Innovators and one of The BOSS Network’s 50 Influential Business Women. This event is convened by our WNG Women's Leadership Forum (WLF). The WLF provides tools to support women in their pursuit of high-level executive and board positions by convening special events on compelling topics of interest, and by cultivating an expansive business network. Forum events are designed for WNG Members; However, non-members are invited to attend this event via our Join & Go option. Our venue is located in close proximity to the Farragut North and Farragut West Metro stations. Garage parking is available in the surrounding area. Early-bird rates in effect through October 27. Space is limited. Advanced/paid registration is required to attend. $90: Become a new/first-time WNG Member ($90 annual dues) and attend this particular event at no extra cost: Apply Online. Note: This option is not available for WNG Members whose memberships have expired. Expired Membership? Please pay your dues/renew online before registering here as a WNG Member. To renew: Pay Dues Online. Cancellation Policy: WNG 48-Hour Cancellation Policy applies to this event. Questions? Contact the WNG Office: 202-455-4504.